Gadgets. Any geek worth his salt lives to surround himself with them. Some are useful while some are decorative while others are just…well, odd. Today we take a look at a useful gadget that just might answer some questions the next time you look at your power bill and ask yourself "Where does it all go?" Have you ever looked at your PC and wondered "Just how much money is this thing costing me to run?" If you’re budget conscious then it might be something that does make you wonder. Today I’m taking a look at something that can answer that burning question (but sadly won’t help with that burning sensation). The gadget in question is the Seasonic Power Angel. The Power Angel is an 8 way meter that tells you the voltage from your wall and the frequency, the amperage load, the wattage load, the VA load, the power factor (PF) and uses these coupled with the time in use to calculate the KWH (KiloWatt Hours) that you’re consuming during the period in use. I’ll let Seasonic explain it in their own words. Seasonic’s new PowerAngel is an indispensable 21st Century tool for intelligent consumers, IT departments, hobbyists, and even business or factory managers. It can help to help reduce electricity costs, minimize energy consumption, and assess the electricity needs of equipment. Whether you want to examine the energy efficiency of appliances, see how much an always-on device adds to your monthly electricity bill, or determine the total heat generated by a computer, the Seasonic PowerAngel gives you accurate and reliable information on a simple LCD digital display. Help to forecast and manage your electric bill. Monitor AC power quality to protect sensitive instruments. Pocket-sized, light and stylish design. Use it anywhere with any 120VAC appliance. Single-press buttons for all functions. Plug it into the AC outlet, plug in the appliance and start monitoring immediately. High power capacity to use with devices up to 1875 watts at 125 volts. Suitable for home, school, office or even factory. Attention PC Enthusiasts: See how you can use PowerAngel to check the efficiency and power consumption of your PC power supply in Efficiency and Power Factor in a Computer Power Supply , a downloadable document in our Technical Library . The Power Angel comes packaged in a chainsaw resistant blister pack and the glossy card stock backing is also the manual. The link above is to the .pdf on Seasonic’s site. The manual on Seasonic’s site is exactly the same so if you’re hoping to find the formula to calculate the efficiency of your connected equipment don’t bother, it’s not there. What you do find is the outline for the care and feeding of your Power Angel and an explanation of what the buttons do. The first button (L to R) displays the wall voltage. In this case 119.2 volts +/- 1%. The second button shows the amperage load to the wall +/- 1%. The third button pressed yet again shows the VA which is the wattage if you figure the load is a perfect 1 ohm load. As you notice the load in watts is different from the VA due to the PF not being 1 (the equivalence of a 1 ohm load). The fourth button shows the frequency of your power in hz. This is how fast the current "swings" from positively charged to negatively charged in cycles per second. If you were to hook the output from your wall to a speaker you’d hear a pure 60hz sine wave coming from your speaker. Unless you have a really good set of speakers you don’t want to try this at home since you’ll be placing a 960W load on your speakers (120V X 8ohm) and you’ll end up letting the magic blue smoke out of them. Pressing the fourth button again shows the PF. In this case the PF of my load is .96 so some quick math shows that 119.2V x 2.58A = 308VA (rounded up). Yes this is at odds with the displayed images but a PC is a reactive load so it’s hard to be 100% on what it’s displaying. Just bear with me though. Anyway, figuring that 308VA load and multiplying it by the .96PF we end up with a 296W load (again, rounded up). This means that the VA is what you’re drawing from the wall and the wattage is the real work being done. The higher your PF the better since this translates into more work being performed per VA from the wall. The fifth and last button displays the total KilloWatt Hours consumed by the device during the hours being measured which are displayed by pressing the button once more. You can use the Power Angel to find out exactly how wasteful or efficient your connected devices are. This isn’t limited to your PC, it can tell you if your ‘fridge is a power hog or the window mount AC unit keeping your PC room cool. Anything that falls within the 15A load maximum limit of the Power Angel is capable of being used with it. All in all the Power Angel is a very handy and easy to understand gadget. I can’t think of anything not to like about it, even the price is right at around $35. If you’re wondering why your power bill is hitting the max every month and would like to figure out what you need to do to cut back look no further. The money you save could more than make up for the cost. 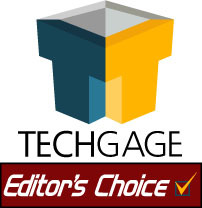 I’m awarding the Seasonic Power Angel a 10/10 and the coveted Editor’s Choice award for it’s value and the capabilities it puts in your hands.